Angela Konrad is a litigation lawyer in Dinsmore's Huntington, WV office. Angela's practice has long-been focused on representing Fortune 500 clients in occupational injury, toxic tort, insurance defense and other civil litigation matters. She was recognized by Best Lawyers for her work. 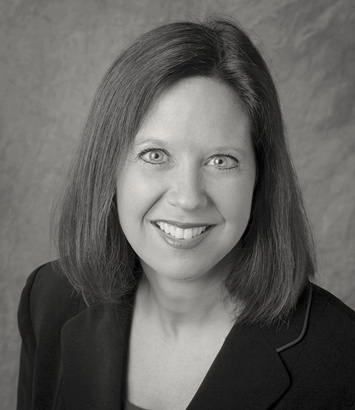 During her nearly 30-year career, she has successfully defended clients in personal injury cases resulting from automobile/train collisions, cumulative trauma disorders, occupational diseases and emotional distress claims, as well as cases involving property damage, premises-liability, product liability, insurance defense and natural resource law. Angela regularly represents a Fortune 500 company in matters, including personal injury and death actions, property disputes, contractual and indemnity disputes, cumulative trauma/occupational injury cases, and insurance cases. She was co-counsel for a transportation company sued by an employee who alleged career-ending injuries. Following a month-long trial in Pike County, Kentucky, the jury returned a defense verdict. She was also co-counsel for a Fortune 500 company in an unprecedented multi-state mass tort case against landowners, coal companies and timber companies for catastrophic flood damage. The case was settled successfully after weeks of trial. Subsequent indemnity actions for reimbursement of the settlement amounts, as well as the cost of litigation, were successfully prosecuted. Angela successfully obtained indemnification for all settlement costs and fees on behalf of a corporate landowner in Kentucky as a result of a catastrophic coal slurry spill. The multi-million dollar civil action involved hundreds of plaintiffs and protracted litigation; however, the landowner received complete indemnification. She is a past president of the National Association of Railroad Trial Counsel. She is a member of the Litigation Counsel of America, Defense Trial Counsel of West Virginia, the West Virginia Bar Association, the West Virginia State Bar, the Kentucky State Bar and the Cabell County Bar Association. She is also an active member of the National Association of Railroad Trial Counsel where she has served on many committees. She has taught for many years at the Trial College sponsored by the National Association of Railroad Trial Counsel. She has served on the Board of Directors of Big Brothers/Big Sisters of the Tri-State and is also a West Virginia 4-H All Star.